A Chicago-based trio with rock energy dedicated to the fearless exploration of group improvisation. Featuring Chris Weller on saxophone, Cole DeGenova on keys, and Devin Drobka on drums. Thank you for taking the time to visit our page on ScratchBang! We are humbled and extremely greatful for the support we recieve here. A lot of time and money goes into composing new music, rehearsing (living in different cities), recording, mixing, mastering, the pressing of CDs and LPs, booking shows, promoting shows, touring, and everything else that contributes to getting our original music to your ears. Thank you for helping us share our art with the world! Hanging Hearts is a Chicago-based trio with rock energy dedicated to the fearless exploration of group improvisation. Described by critics as "hammering the walls between genres," their music bridges the gap between jazz, rock, and experimental music. The band features Chris Weller on tenor saxophone, Cole DeGenova on keyboards, and Devin Drobka on drums. Recorded March 14, 2015. Composition by Devin Drobka. Thank you for supporting artists through Scratchbang and taking the time to visit our page! The process of creating new music, recording it, mastering it, pressing it into CD's, booking shows, promoting shows, and touring internationally is an expensive one.  We appreciate all of our backers (YOU) and the opportunity to continue creating and spreading our art around the world.